At Empower Triathlon, we strive to empower athletes to reach fitness and race goals this season and exceed them the next. We believe that adult endurance sports are a lifestyle that can and should last a lifetime. Through sustainable gains, athletes can reach their goals through steady progression and exceed their goals through consistent training. There are no limits. There are no short cuts. 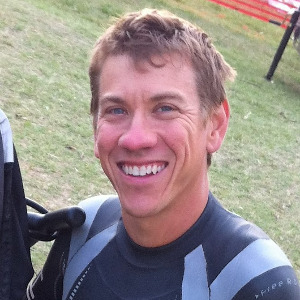 I have been participating in triathlons and endurance events for over ten years, and have transformed those experiences into a passion for competition and a career in coaching. I have held a US Masters Swimming membership card for 8 years and a USA Triathlon (USAT) card for 10 years. I have completed two Full Ironman Triathlons, several Half Ironman distance races, as well as many other endurance events throughout the United States and Mexico. I graduated from the University of Arkansas in 2002 and had been working as an Environmental Scientist until 2016. This background in science prepared me for the science behind triathlon coaching. Triathlon has developed into a very data driven sport, that utilizes various technologies to show a clearer picture of an athletes fitness, adaptability, and endurance. Over the last year I have become certified by Ironman as a triathlon coach and by US Masters Swimming as a level II swim coach. As a husband and father of two boys, I know how important time with family is. Through this life experience, I have developed an athlete centered coaching philosophy that is optimized by paying attention to training data so as not to waste an athlete's time doing unnecessary training that can interfere with having a life outside of triathlon. My long time experience in the sport, coaching certifications, life experiences, and my background in science, are all pieces of the puzzle that make me the coach I am today. Success. Coach Jacob Brickman has been notified of your message.